Metamorphosis is a profoundly complex process of turning on and off of genes. 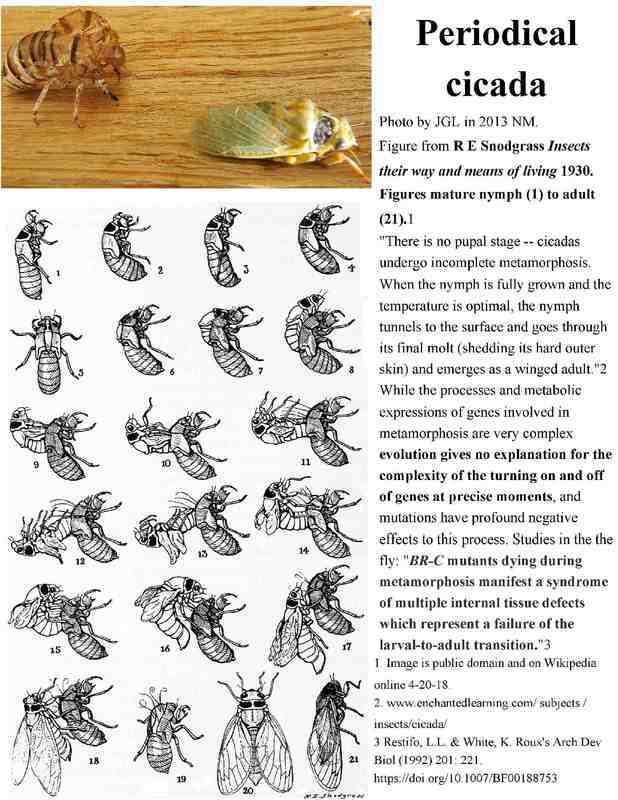 As can be seen in the above example of the cicada mutations cause harm. 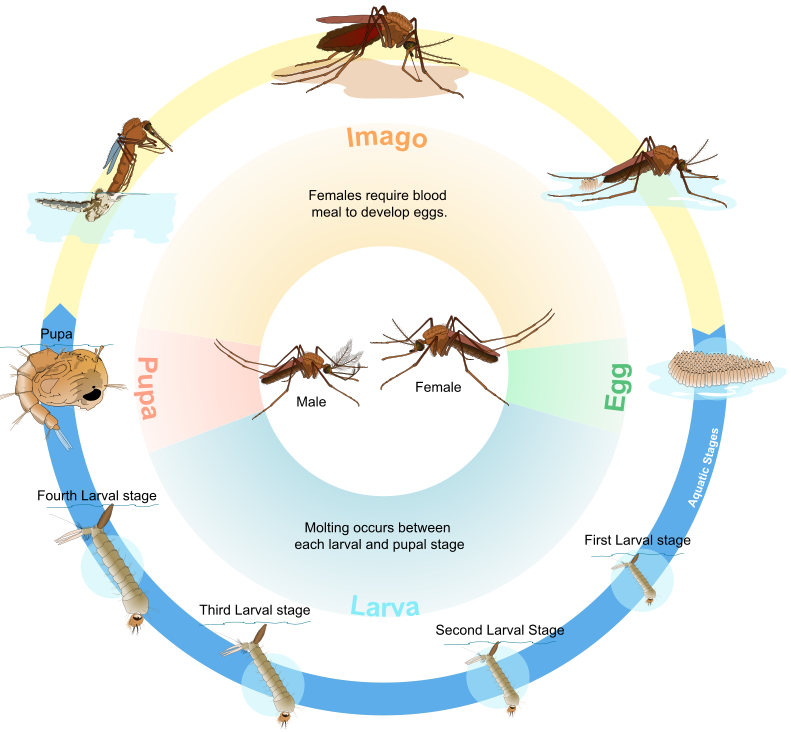 Given the complex life cycle of the mosquito, genetic manipulation has been pursued. Alteration of the genome affecting reproduction initially gave hope but further studies have shown resistance to the alteration developing. None of these studies reflect evolutionary change in the macro sense, but the overall degradation of the genome is consistent with the corruption of the Creation from initial conditions. Also, the ability of man to manipulate the chromosome reflects the concept of God making man in His own image. However, man is now fallen along with the rest of the Creation, yet God remains outside of the Creation and is unaffected by the fall of it and He continues to be righteous, holy, and pure. Abstract: Gene drives have enormous potential for the control of insect populations of medical and agricultural relevance. By preferentially biasing their own inheritance, gene drives can rapidly introduce genetic traits even if these confer a negative fitness effect on the population. We have recently developed gene drives based on CRISPR nuclease constructs that are designed to disrupt key genes essential for female fertility in the malaria mosquito. The construct copies itself and the associated genetic disruption from one homologous chromosome to another during gamete formation, a process called homing that ensures the majority of offspring inherit the drive. Such drives have the potential to cause long-lasting, sustainable population suppression, though they are also expected to impose a large selection pressure for resistance in the mosquito. One of these population suppression gene drives showed rapid invasion of a caged population over 4 generations, establishing proof of principle for this technology. In order to assess the potential for the emergence of resistance to the gene drive in this population we allowed it to run for 25 generations and monitored the frequency of the gene drive over time. Following the initial increase of the gene drive we observed a gradual decrease in its frequency that was accompanied by the spread of small, nuclease-induced mutations at the target gene that are resistant to further cleavage and restore its functionality. Such mutations showed rates of increase consistent with positive selection in the face of the gene drive. Our findings represent the first documented example of selection for resistance to a synthetic gene drive and lead to important design recommendations and considerations in order to mitigate for resistance in future gene drive applications. 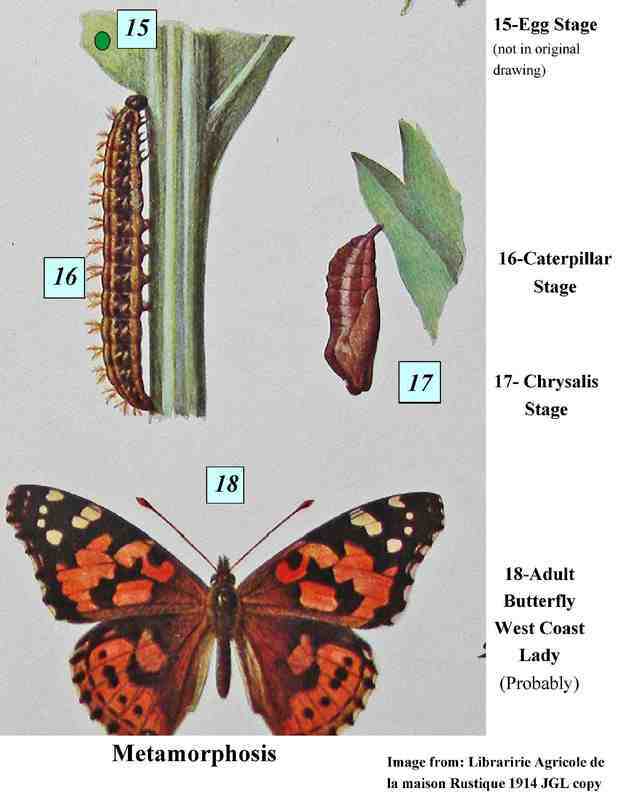 Answers In Genesis has a wonderful overview of the complexity of the metamorphosis of the Butterfly. See link Below.